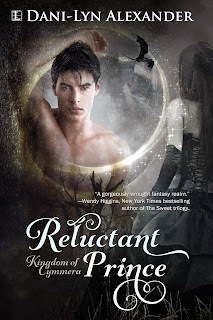 Reluctant Prince (Kingdom of Cymmera #1) by Dani-Lyn Alexander. Publication: November 3rd 2014 by Lyrical Press. Betrayal lies cloaked in shadow. Seventeen year old Ryleigh Donnovan is certain her life is cursed. Nothing ever goes smoothly, and her first job interview is no exception. An earthquake rocks the building, sending Ryleigh on a frantic search for her younger sister, a search which lands her in the hospital. Terrified they’ll push her for answers she can’t afford to give, Ryleigh flees with a mysterious stranger. Jackson Maynard is about to be ordained as a Death Dealer, a warrior for the Kingdom of Cymmera, but first he must pass one more test. When he fails to acquire the human girl the prophet has chosen, he’s forced to stand trial for treason. Banished from his realm, he seeks out the girl from the vision, Ryleigh Donnovan, and together they embark on a journey to save his dying kingdom. 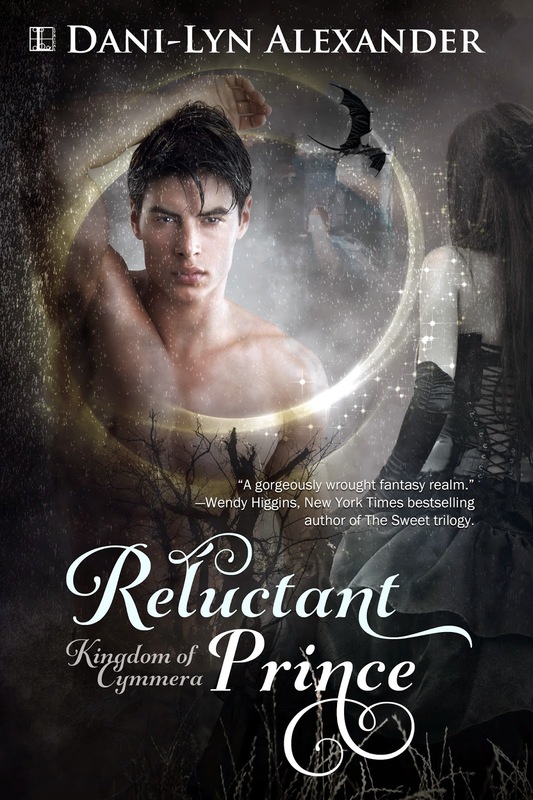 "A gorgeously wrought fantasy realm with a heroine who will make you cheer!" ~Wendy Higgins, NYT and USA Today bestselling author of the Sweet Evil trilogy. Jackson clutched the stone wall of his chamber and gasped for air. What had just happened? He had returned to Cymmera, of that he was certain, but how? He hadn’t accessed the gateway. At least he didn’t remember opening it. A vision of her assailed him, beat at him, reminded him that he’d failed. Oh, man. He was in trouble. He pushed away from the wall. Images of his target taunted him. He shoved a chair aside and tore through the pictures scattered across the table in a desperate search for salvation. There. He pulled the shot from the mess but found only condemnation. The long blond hair flowing behind her in the snapshot had not been visible to him, but there was no mistaking the deep blue of her eyes. The pounding of a fist against the heavy wood door released him from whatever spell she’d cast. “Jackson.” Another loud thud punctuated his name. Kai, his father’s most trusted warrior. He was in more trouble than he’d originally thought. Was it possible the king would sentence him to death for ignoring a direct order? Surely not without offering him a fair trial, or at least granting him the opportunity to explain. But what could he say? What explanation could there be for failing to deliver the girl? None. “I won’t knock again.” The warrior would soon break down the door and drag him before the throne. He crumpled the offending photo, the evidence of his disgrace, into a ball. Instead of tossing it in the trash as he’d intended, he shoved it into the small leather satchel he wore at his waist. With a deep breath, he released the latch and pulled open the door. “Come.” Kai turned his back on him and strode purposefully down the corridor, their footfalls echoing through the silence of accusation. The thought of escape taunted him, but he would never make it out of the castle. He had only recently completed his warrior training under Kai’s watch and would be no match for the seasoned soldier. Besides, Kai was a stickler for the rules. If he tried to run, the warrior would surely take him down, protégé or not. Outlander: The Series on Starz "The Wedding"